A variation version of our multi cabinet with right extension, this cabinet is a real help for trade show exhibitors. Place your computer and keyboard, along with other necessary materials and still you will have enough space left to work. 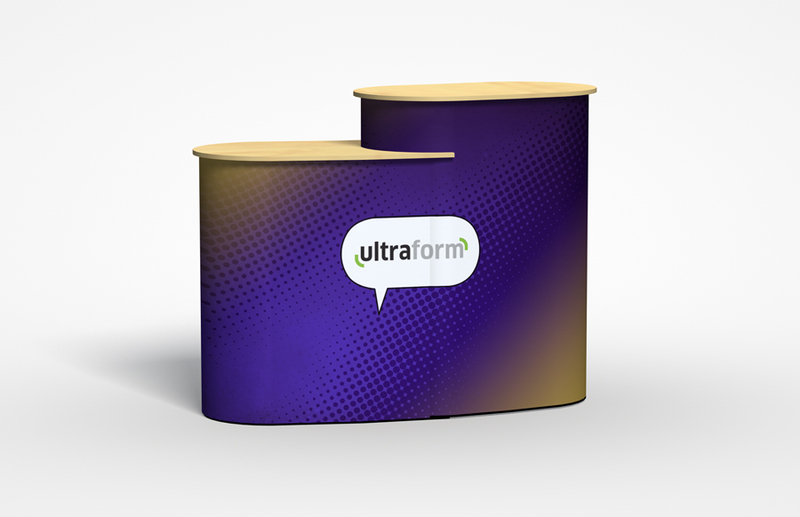 Easy to pack, the UltraForm counters are flat and can be easily transported. 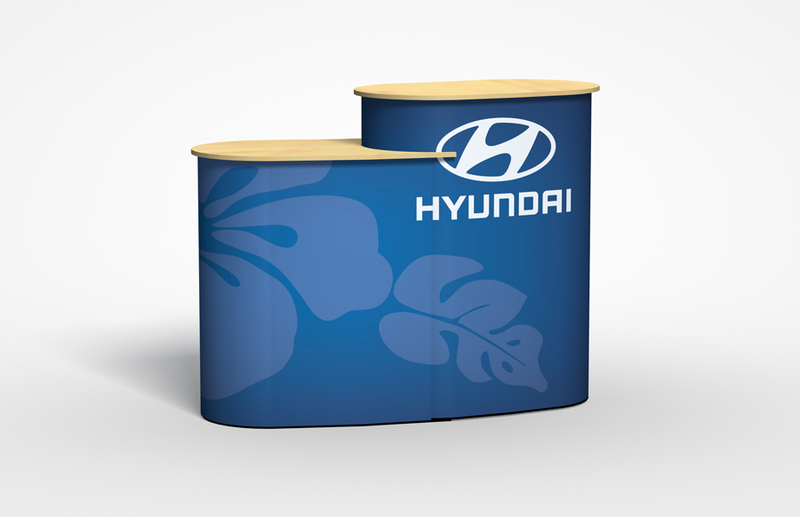 The graphic skirt supports 1200 DPI so you can have your company logo or any other communication message displayed clearly.